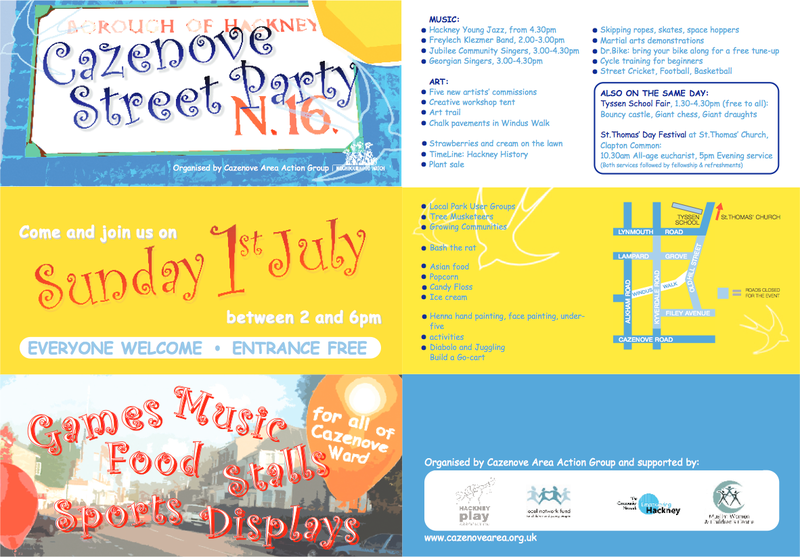 Despite a prior week of rain and inclement weather forecasts, the sun showed up for The Cazenove Street Party. Cars had been banished from the party zone for the day, while part of Kyverdale Road was laid with turf (reputedly fresh from the Glastonbury Festival). 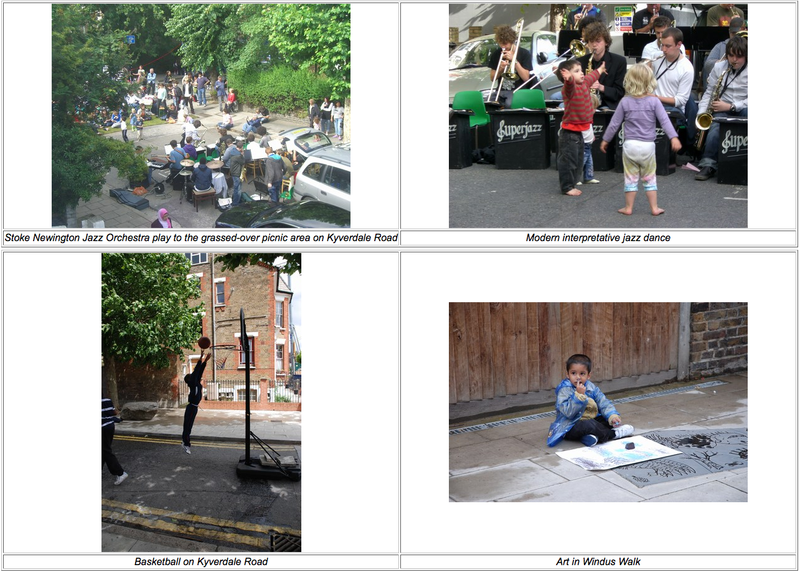 Neighbours from all corners of the ward picnicked on the grass to the sounds of the jazz band, while nearby Oldhill Street hosted craft stalls to the sound of a live Klezmer band. Windus Walk hosted art workshops and the sound of local choirs. 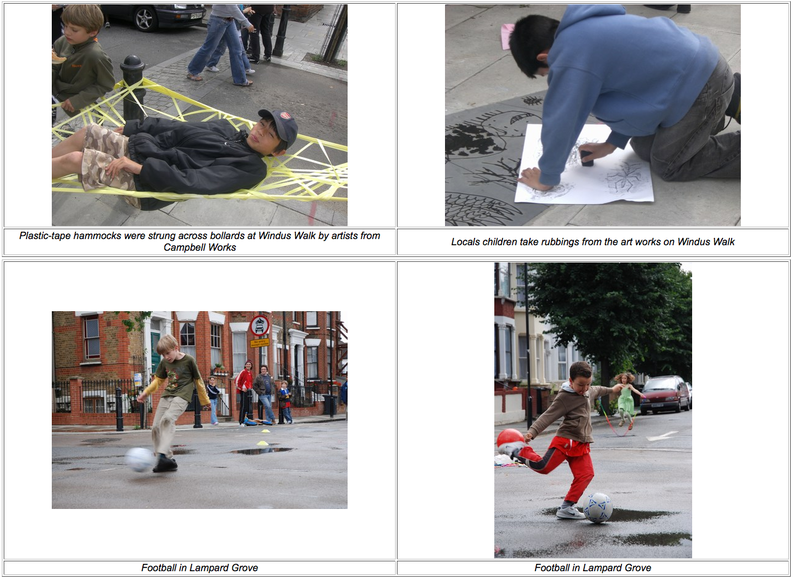 With such a variety of entertainment spread over the various streets, it felt almost like Glastonbury itself. Perhaps the turf was for real. 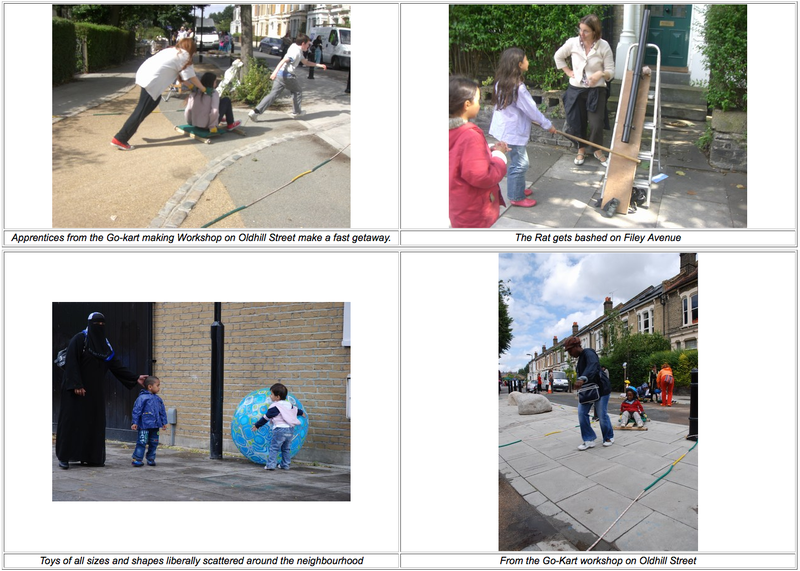 It was very pleasing to see such large spaces that were created by the temporary road closures. 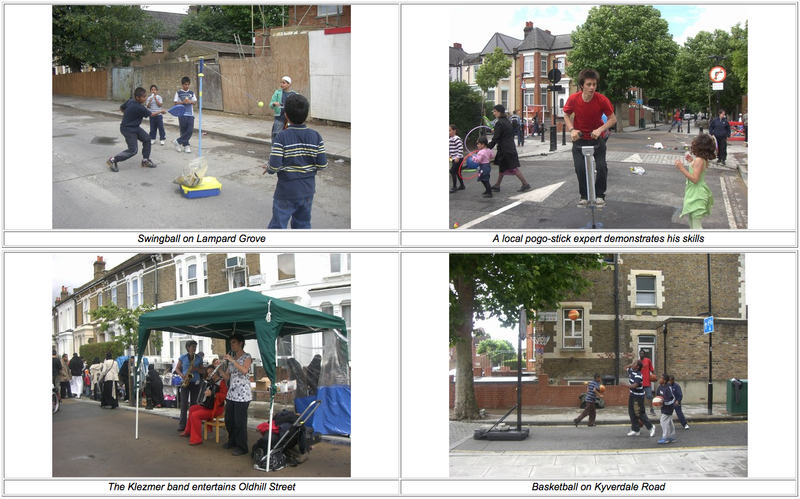 As the street games were packed away, and lawn removed to make way for the tarmac beneath, many were left with an insight into how the community could be transformed by turning large, normally inaccessible, road-traffic space over to people space. Bolstered by the success of this entirely locally organised event, organisers are already talking about next year’s event.